^ Davis, Gary. News from the JCMT. Canadian Astronomical Society. 2007 [2015-07-14]. ^ 2006 October 15 Earthquake Aftermath at CFHT. Canada France Hawai'i Telescope. 2007-01-11 [2010-08-27]. ^ Earthquake Update from W. M. Keck Observatory. W. M. Keck Observatory. [2010-08-27]. 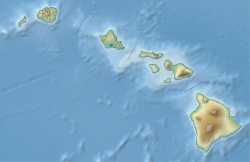 ^ Earthquake Update from W. M. Keck Observatory. 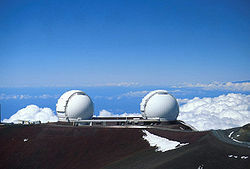 W. M. Keck Observatory. 2007-02-28 [2007-10-05]. （原始內容存檔於2007-09-27）.